Make a fine selection for your boy's wardrobe with this shirt. 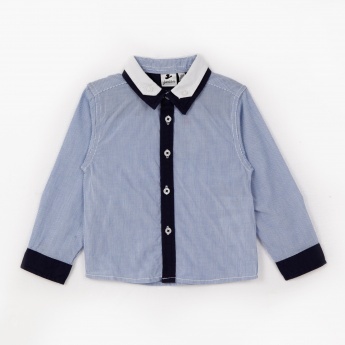 Designed with contrast-shaded collar and button placket, it casts a standout look. 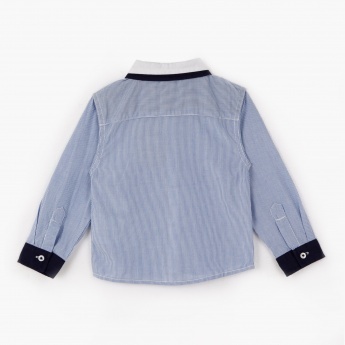 It is fashioned with cuffed sleeves and classic spread collar for a sleek appeal.